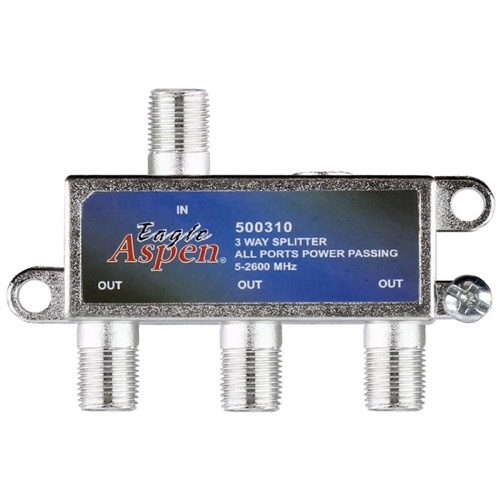 This dependable off-air/satellite signal splitter is designed to work in 5-2600 MHz range and features all port power passing zinc diecast F-ports. Comes complete with screws and grounding port for immediate installation. Diecast case.